Stuck in the middle of the road? We'll find you with no problem. We are all subject to an unforeseen event. The difference between moving on quickly and being stuck there for more than the necessary time relies on who you call. With Chiko’s Locksmith, you can get a full package. They are the most convenient roadside repair in town. Here are some examples on what kind of issues Chiko’s Locksmith can solve with this innovative service. Not everything has to be about locks. Thinking out of the box is what makes Chiko so successful! When you are in a locked out of car service situation, you may need a bit more than a locksmith. Sometimes you need basic mechanical assistance. If the locksmith is there, why not helping with it too? This sounds unusual, but it is possible. After all, it is all about helping the client move on. What Roadside Repairs Can You Get? 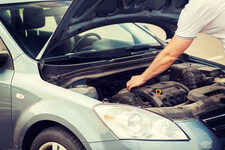 A locksmith with basic roadside repair training can take care of the most common repair needs. Having the basic equipment at hand is important. For example, with the right set of cables, the locksmith can perform a jump start within minutes. If you are a very distracted person, you may leave your car key inside often. Just as often, you will need other sort of assistance. For example, you could use some gas just because you forgot to put it into your car. In such cases, your locksmith can bring the gas to you and get you back on track. Other repairs include changing tires and even handling a backup wheel. A car lock repair may be more than it seems. Particularly when you are talking about the electrical system that turns on the engine. Sometimes it is tricky, and it is the engine that is failing. Some basic repairs can be performed onsite. However, if there is the need for further assistance, the locksmith can get you a crane service in no time. Unlike most mechanic shops, the locksmith will be there in no time. Locksmiths usually arrived in less than 30 minutes. Chiko’s Locksmith is no exception to this rule. A serviceable and experienced locksmith that is prepared for all sort of things is invaluable. When they are prepared for a roadside repair, it is priceless. Chiko’s phone is everything you’ll want to have at hand.